Basil Emmanuelides was born in Chrysoupolis of Constantinople. He graduated from the Great School of Nation in 1953 and from the Turkish music class of the Constantinopolitan Conservatoire, studying in parallel European music for several years. He became a private student of Thrasyboulos Stanitsas, from whom he learned the secrets of psaltic art. He was a teacher, director of the community school of Hypsomatheia (1959-1983) and in other Greek schools of the City, while from 1983 he taught music in the four Greek high schools that still function in Constantinople. During the period 1982-84, he taught psalmody to the Association of Constantinopolitan Friends of Music and organised a Byzantine choir which chanted at many occasions in various Churches. Equipped with a nice melodic voice and a true ecclesiastical psaltic style of the Patriarchal School, Basil Emmanuelides is distinguished for the simplicity and the appropriateness of his chanting, as well as for the profound consideration of his sacred mission. He chanted in various Churches of the City: at Prophet Elijah in Chrysoupolis, Ss Theodores at Vlaga, St John of Chiotans in Galata, St Euphemia of Calcedon, the Cathedral of the Mother of God at Peran as a left cantor, Holy Trinity of Peran as a right cantor. Finally, in April 1979, he was called «from the outside» to the Patriarchal Temple as the most fitting for the position of the Lambadarios, which had become vacant due to the departure of Eleutherios Georgiades in 1978. With a great ethos, virtue and steadfast will for the continuation of the Patriarchal music tradition, he devoutly served the sacred Analogion of the Great Church of Christ. 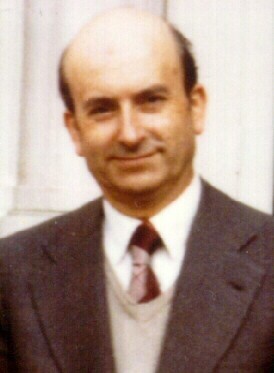 Basil Emmanuelides was from his youth focused on the Analogion. As a deep mystic of Byzantine music, he faithfully followed the Patriarchal tradition and rightly fulfilled the rôle the Lambadarios of the Patriarchal Church. With his sweet and precise voice, he faithfully immitated at many points his teacher, and continued the true Patriarchal tradition. With his art and sweetness, his performances are marked with the interior compunction of the modern Roman cantor of the City. γ) «Τὸ Δωδεκαήμερον» (the twelve days, ie. from Christmas until Theophany), which were produced in 1981 by the Hellenic Cultural Center of London. In March 1999, he was invited by the committee of the Church of Holy Trinity, Indianapolis, in order to chant during the Divine Liturgy at the visit of Archbishop of America Spyridon and to later be honoured at a special ceremony. There also exist more recent recondings, which were published by the Musicologist Prof. Manolis Ch. Giakoumis in 2001-2002. He was honoured by the Athenian Association of Constantinopolitan Friends of Music in 1987, the Association of Friends of Music in Agrinion in 1997, the Church of the Dormition of the Theotokos, the Chrysospelæotissa, at Aiolou St. in Athens in June 2002, and the Holy Metropolis of Patras with its Psaltic School entitled «the Patriarchal Psaltic Style» in the Holy Church of the Pantanassa (Queen of all) on April 7th, 2003.